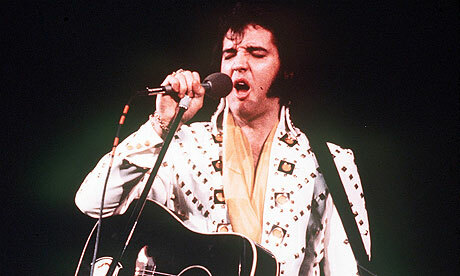 An auction of instruments allegedly used in Elvis Presley's autopsy has been cancelled. "Due to questions of ownership," the retired embalmer behind the sale will instead "donate" the tools to an unknown party. Last week, a Chicago auction house announced that it would be selling a grisly collection of music memorabilia, including rubber gloves, lip brushes, needle injectors, forceps and aneurysm hooks used in the singer's postmortem examination. An embalmer in Memphis had apparently stored the tools since 1977, but now hoped to let fans "own a piece of the celebrity themselves". Officials at Leslie Hindman Auctioneers have now withdrawn the lot, reportedly at the request of the owner and his son. The objects will instead be turned over to the funeral home that originally administered the autopsy, or at least its parent company, "with the intention of donation". It is not clear whether Graceland or another Elvis museum is interested in the tools. According to the Memphis Commercial Appeal, the president of the Memphis Funeral Home, EC Davies, kept Presley's embalming report in his desk. He later donated it to a funeral service museum in Houston, but the Presley family has never granted permission for it to be displayed. Last week, Davies questioned the authenticity of the auction items. "Anybody could fake something like this," he said. "It's ridiculous." Its Disgusting that anyone would even think to sell items like the instruments used for any autopsy. Elvis seems to have no Dignity given to him .Elvis deserves better care of thought than that. Those instruments are a sacred thing for anyone.Thanks for sharing this news.TC Ellis. I agree with you. I find it absurd that was done. But there are people for everything in this world. It is unfortunate that often make the memory of Elvis. Thanks +Stephen Ellis.